With the large increase in car thefts in the past few years, it is important to understand how these thefts occur, and where thefts are most likely to take place. Car thefts can occur in varying ways, and if handled incorrectly, they could potentially cause harm to you or those traveling with you. Knowing where to be more diligent of your surrounding and methods used could help you avoid these thefts from occurring in the first place. How Many Cars are Stolen Per Year? In 2017, the total number of vehicle thefts recorded was 773,139, an increase of 0.8% from the year prior. These thefts totaled an estimated $6 billion in overall loss, costing an average of $7,708 in damages to each vehicle affected. While most would assume that most stolen vehicles would be expensive luxury models, it is almost the opposite. The 1998 Honda Civic was recorded to have the highest amount of thefts in 2017, showing that most vehicles stolen are not what most would consider “expensive” or “luxurious” but are common vehicles that make up the typical composition of the road. Where Are Most Vehicles Stolen in the United States? Location is an important factor in determining the risk of your car being stolen. It should come as no surprise that the more heavily condensed an area is, the higher amount of thefts will occur. In 2017, the top metro areas impacted by car thefts were located in Albuquerque, New Mexico, Anchorage, Alaska, Pueblo, Colorado and Redding, California. The estimated impact from these car thefts caused an overall loss of several million dollars. Surprisingly enough, Alaska contributed as the highest amount of car thefts per state but resulted in the least monetary damage only costing a total of $56.4 million. Unlike California, a state that had one of the least amounts of vehicles stolen yet contributed an estimated $2.8 billion in damages. While some places were able to find a steady decrease in the number of yearly thefts, some locations such as Anchorage, Alaska were put on high alert as numbers of thefts neglected to decline at the beginning of 2018. A recent report provided by the Anchorage Daily News shed light on the recent decrease in vehicle thefts in Alaska in 2019. This decline in thefts is due to the increased amount of local authorities able to be dispatched on a whim, and the increased police presence. Currently, there has been a decrease of break-ins and vehicles thefts reported in Alaska in 2019, but an increase in other states such as Texas. Are You Worried Your Vehicle Is Not Locking as It Should? Enroll with Drivesmart and Receive Coverage for Power Locks and Other Electronic Components! What Types of Vehicles are Stolen Most? As previously stated, the 1998 Honda Civic was the most stolen vehicle in 2017 and still hold this title today. Though, these are not the only vehicles in constant danger of becoming the victim of the next attempted vehicle robbery. Car thieves also tend to gravitate towards the same types of vehicles as most stolen vehicles are in the same general radius as the Honda Civic. As you can see by the provided list, the top 4 commonly stolen vehicles gravitate around the manufacturer as well as the general composition of the vehicle itself. This similarity is how both the Honda Civic and the Honda Accord are only a couple of thousand of thefts apart from each other. Pickup composition also stays in a similar realm between the Ford Pickup and Chevy Pickup. The rest follows a similar pattern, providing the similarities between common cars and the location they are most consensed. Since newer vehicles are being released each year with up to date security systems, there is less of a reason to worry about your vehicle being stolen in plain sight. With newer cars enabling the use of interior cameras, GPS location tracking and blaring alarms, there is a large likelihood the average robber would avoid approaching your vehicle. Though, as advanced as some vehicle’s become a new danger presents itself in the form of unconventional methods being used to gain access to a car. How Do Thieves Break Into Newer Cars? There’s no denying that modern robbers are smarter now than in the past and more eager to display their methods to the world. This can be seen through the appearance of the occasional article that surfaces which display the advanced methods these modern-day thieves are using to gain access to vehicles. These same robbers will then share their method online allowing for others to replicate the process. While there is still a large danger from traditional methods used on older vehicles such as breaking a window, picking the doors lock, stealing an owner’s keys or entering an unlocked vehicle, more creative methods are discovered for newer vehicles frequently. If your vehicle uses a keyless system, thieves can use this to gain access to your vehicle without your knowledge. Keyless fobs emit a short-range radio frequency that communicates with your vehicle to determine if the radio frequency matches the onboard receiver. As the Fob is provided with the vehicle, the matching radio frequency is pre-programmed at the time of manufacturing. If a Fob emits a frequency not recognized by the vehicle none of the components will respond. Since the Fob is constantly broadcasting the radio signal, it is entirely possible for someone to use a signal relayer to capture the radio frequency and provide it to a receiving device to open and operate the vehicle. While this may sound like an easy process, obtaining the exact parameters and variables to replicate this occurrence without being noticed or succeeding on the first try requires a ton of luck. Signal jamming is another method thieves use to enter a vehicle with minimal hassle. However, it requires a large number of situational specifics to pull off effectively. As we are already aware, keyless entry systems require a specific radio frequency to communicate with the vehicle. If the connection is disabled or impeded at any part of communication, the message from the Fob to the car will not be sent. If a robber was to know your vehicles exact radio frequency or have a variety of jammers on hand, they could effectively disable you from locking your vehicle after parking leaving the doors unlocked. This alone will only provide thieves the ability to enter your vehicle, but combined with key programming could grant them full access. As “push-to-start engines” have become more common, carjackers have developed ways to manipulate its electronic system and grant them full access. When vehicles with push-button ignitions are created, they are outfitted with a diagnostic port used by the dealerships during repair. This port allows the technicians to access the vehicles electronic system, provide readings, and reset the security system if needed. If the vehicle is broken into, carjackers could simply use a custom variation of this tool that re-writes the keys programming onto a blank fob. This process can take as little as 15-20 seconds and will release full control of the vehicle to the owner of the new Fob. The custom tools used to reprogram these vehicles can be found online for as low as $10. If your vehicle supports app integration, such as newer Porsches or BMWs, you may have the ability to lock, unlock, or even start your vehicle by the use of the app linked to your account. While hacking is nothing new, this level of access to a vehicle has never been present before. This is why it is imperative to create a password that only you would know and could never easily be guessed. If your account is ever compromised, your vehicle could be remotely accessed allowing car thieves full control. As the shift from traditional key entry has begun its switch to a keyless entry system, there is a large danger in the ways cars are being broken into. These new methods are pretty much unavoidable for those who purchased their vehicle recently, as most exploits are hardware based as opposed to being a software issue (except app integration). Thankfully, there are preventative ways to avoid most of these break-ins with a little due diligence and keeping a watchful eye over your car. Keeping your belongings out of sight is one of the easiest and most effective measures you could do to avoid your vehicle from being broken into. Typically, it takes robbers only a few seconds to determine if your vehicle is worth their attention and the presence of valuables will help them solidify that decision. Keeping your items under a seat, in the trunk or bringing them along with you could help you avoid becoming a potential target. One of the easiest ways for robbers to get into your car is through access to your physical keys. In the instance you misplace keys, it could take robbers only seconds to grab them and hide in plain sight. Purchasing a key tracking device such as Tile can help avoid this issue. Tile allows you to locate your keys via the installed app and sends an audible notification to everyone around you. In the case you leave the devices Bluetooth range others with the Tile app will help you locate your keys and send your device a notification of its GPS location. While this option isn’t always available, or difficult to predict if your vehicle will be parked in the same location for a long period, it is something to consider. If your vehicle is in direct light anyone attempting to break-in to your vehicle will be deterred, as it is easier to be caught in a well-lit area as opposed to a dark area. This may seem to be redundant to most, but a large number of individuals that become complacent with their surroundings may overlook the need to lock their cars. This is especially true for those who own a place of residence with a private driveway. While it may seem less likely for an individual to attempt to break into your vehicle at home, it is not an uncommon practice for thieves to walk by a neighborhood at night and tug at door handles. Simply locking your doors at night could help you avoid theft or damage. If you are one of the individuals whose vehicle has a keyless start system, it may be worthwhile to invest in an aluminum box or signal blocking box. It may seem a bit ridiculous to have to place your keys into a blocked box every night for such an uncommon form of robbery, but prevention is the best way to ensure it will never happen to you. You can also purchase signal blocking pouches to keep your keys in while out in public. This prevention will allow you to avoid this from happening to you when you least expect it. A steering wheel lock is one of the oldest methods of preventing car theft to date. This is due to its reliability and how easy it is to use. When purchasing a steering wheel lock, two styles can be chosen from. The first style has you place the steering wheel lock onto the front of the wheel, with one side extending further than the other. The steering wheel lock will stop you from turning the wheel very far as you will hit obstructions while trying to turn the wheel. The other style attaches to the top of the wheel and extends over the dashboard. This stops the wheel from turning at all, providing the more secure of the two options. 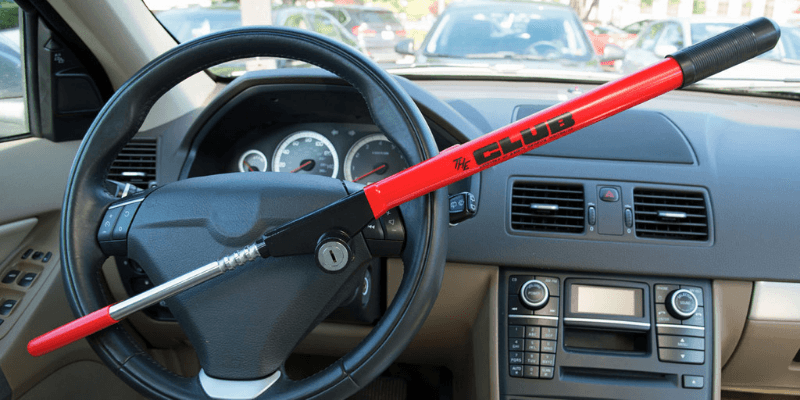 Regardless of choice, the presence of a steering wheel lock is deterrent enough to dissuade robbers from attempting to rob a vehicle in the first place. If you have ever parked in an illegal parking spot, you may have returned to a metal contraption covering one of your tires. 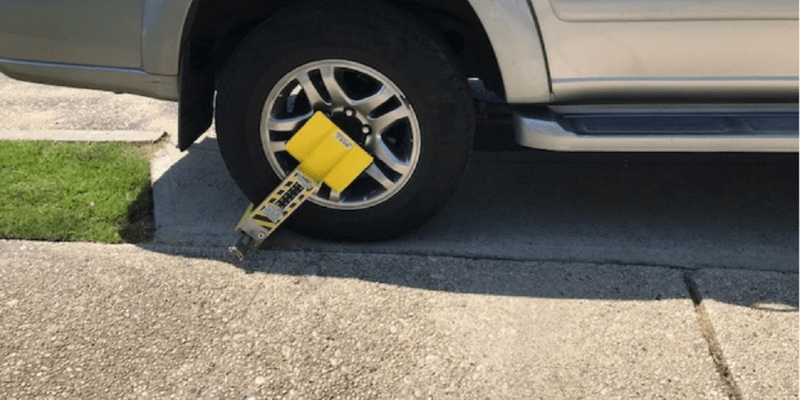 This is a tire lock, often referred to as a boot, and Is most notably used by the police for those illegally parked. While a tire lock is one of the most secure forms of anti-theft, it requires one the most amount of effort to attach and remove. Tire locks are recommended for those looking to park their car for an extended period such as in an airport parking lot, or a train station parking lot. Unfortunately, even the best of theft prevention can be removed or bypassed by a persistent theft. That is why adding a tracking system inside your vehicle is recommended. 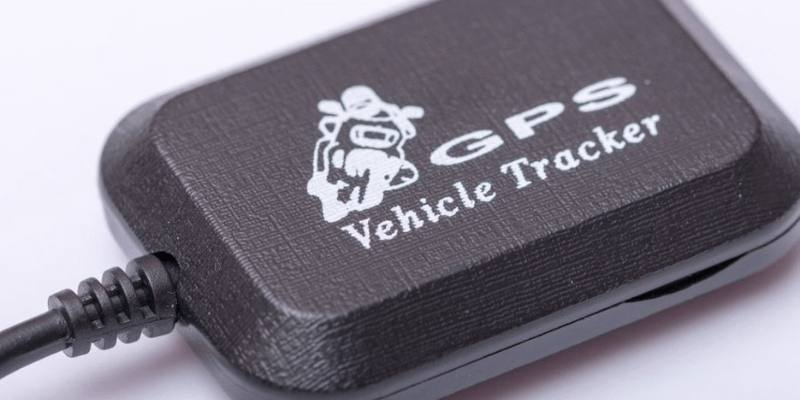 With a tracking system installed you will be able to find the location of your vehicle using a GPS signal transmitted back to your phone or provided device. With the recent mass production of these devices, units sold online are more affordable than ever. Standard electronic systems can be purchased for as low as $40. If you are a new car owner, it is recommended you purchase one of these devices. Dash cams have been in high demand recently, with the production of most current models becoming more affordable than ever before. 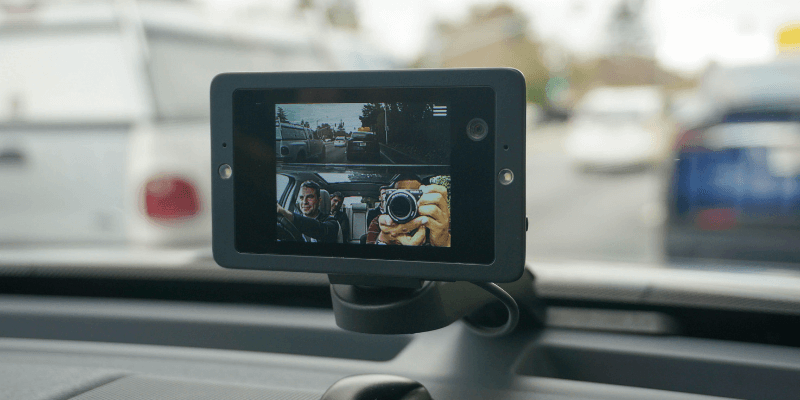 While most earlier dashcams required installation at the time of manufacturing, newer dashcams as simply plug and play attaching to the dashboard or windshield of a car. Smart dashcams such as OWL provide a never-ending feed to the vehicle owner and will notify via phone app in the event motion is detected in front of or inside the vehicle. If someone is inside the vehicle, the app will begin recording footage of the perpetrator and will allow you to broadcast a message that will be spoken aloud by the device. This is a great device for newer car owners or those with expensive components inside their vehicle. Possibly one of the most sought after answers from those paying for insurance currently. Depending on the type of insurance coverage you own, as well as the insurance provider you have your coverage through, will determine the extent of coverage provided in the event of theft. What type of Insurance covers vehicle theft? When purchasing insurance, you will have the option between comprehensive insurance and collision insurance. Comprehensive insurance is the only type of insurance that will protect you in the event of car theft, as collision coverage specifically targets collisions. Since comprehensive is normally an add-on to collision insurance added benefits such as car theft is included the standard in the contact. If your insurance provider is not one of the few listed above it is always recommended contacting a customer service representative. They will let you know if additional coverage for theft is available, and how expensive it will be to add to your current bill. It is important to keep yourself safe over ensuring your vehicle is safe. As stated above, robbers will still use older tactics such as robbery and forceful entry to enter your vehicle. If you are uneasy about a situation or have reason to believe someone is watching you while you are exiting your vehicle, it is best to contact the authorities. If you do happen to witness your vehicle being broken into, learn how to report a stolen car, assess the situation and location before approaching, manually set off your car’s alarm with the key-less fob or contact the authorities and attempt to gather as much information about the robber from a distance to help aid the authorities.